Written in 1968 and revised in 1972, Awopbopaloobop Alopbamboom was the first book to celebrate the language and the primal essence of rock 'n' roll. But it was much more than that. It was a cogent history of an unruly era, from the rise of Bill Haley to the death of Jimi Hendrix. And while telling outrageous tales, vividly describing the music, and cutting through the hype, Nik Cohn would engender a new literary form: rock criticism. In his book's wake, rock criticism has turned into a veritable industry, and the world of music has never been the same. 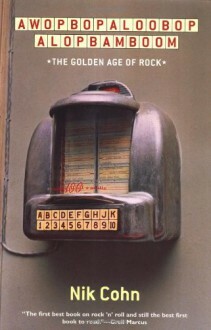 Now this seminal history of rock 'n' roll's evolution is available once more -- as riotous a spree as any in rock writing.